Our new garden has proved to be a handy spot for grilling corn and drinking cold beers during these sticky summer evenings. But in terms of being used for actual gardening, it’s not quite up to scratch yet. 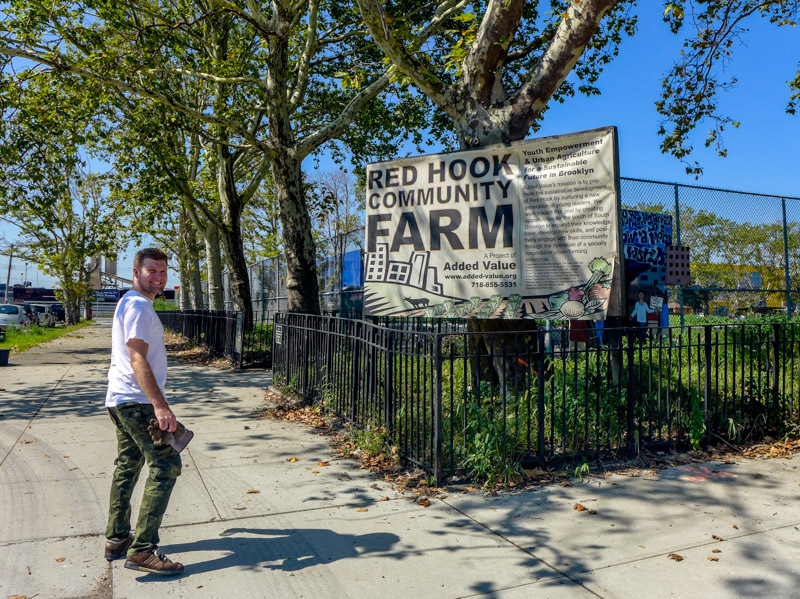 Thankfully, we’re not far from the Red Hook Community Farm, a surprisingly large operation that lives on top of an asphalt playground opposite IKEA. 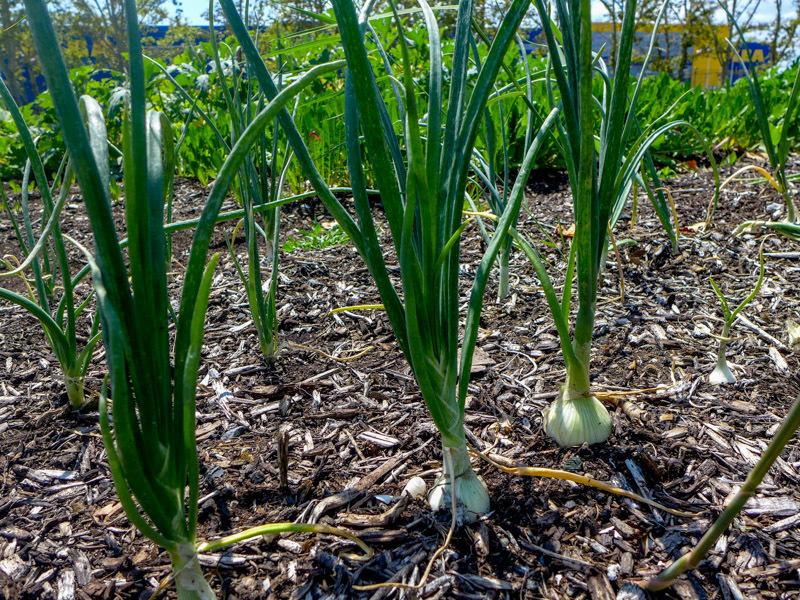 I’m not making it sound particularly attractive, but the whole set up is fantastic for the community – and it grows some pretty impressive veggies. 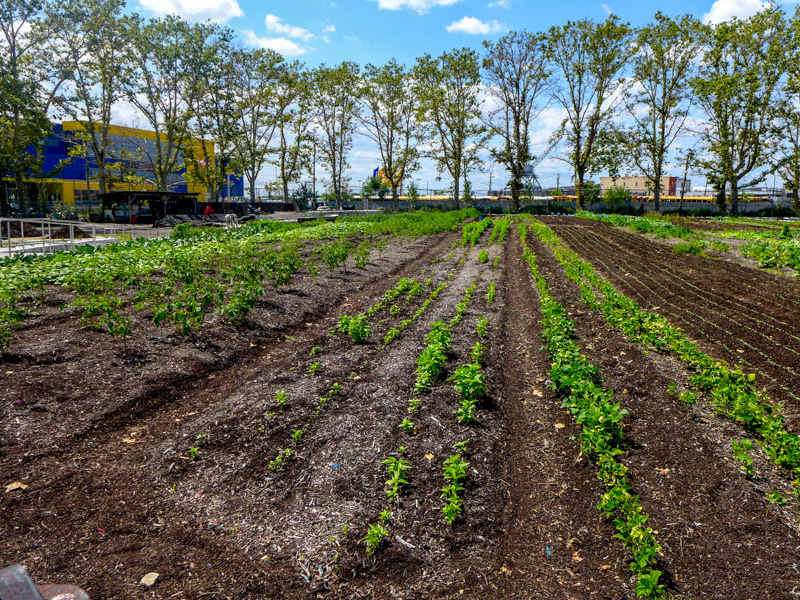 So at the weekend, Ryan and I joined a New York Cares project to lend a hand – and nick some tips for helping us grow our own veg. When we arrived, teenagers were dotted among the rows. These young volunteers from nearby government housing form the bulk of the workforce, and their communities get the vegetables in return. 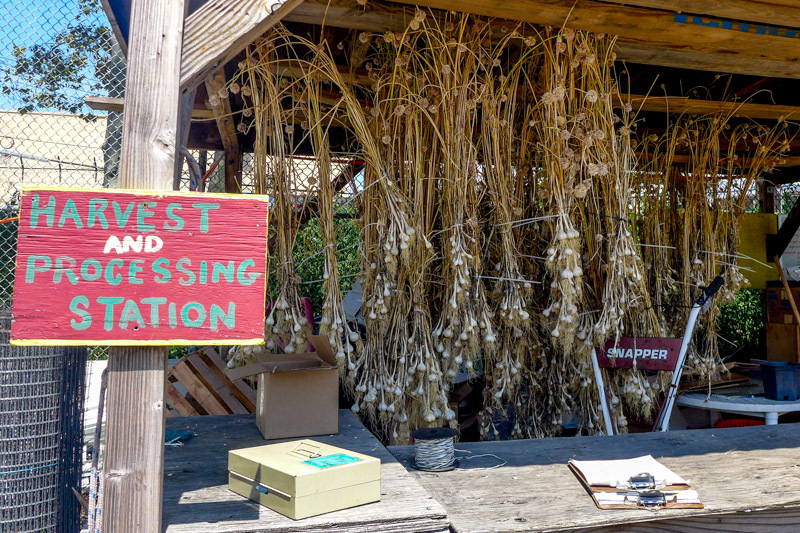 There’s also a CSA; you pay around $300 for vegetables for a whole season and volunteer once, and in return, you get a bag of freshly grown vegetables – including beans, beets, tomatoes and herbs – each week. Afterwards, you can use the food scraps for compost. I love this idea of a self-sufficient community (and I also like the idea that you might get random veg you’ve never used before). 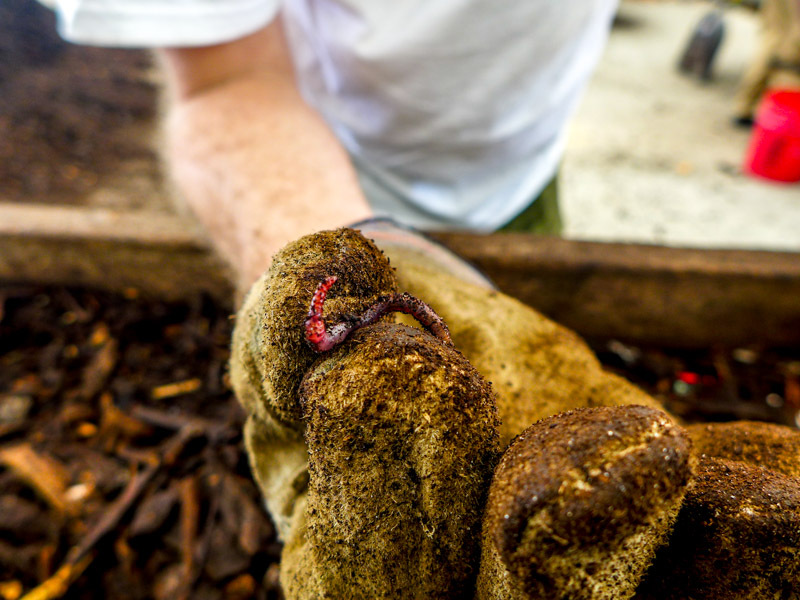 To get such promising produce, you need decent compost – and that’s where we came in. 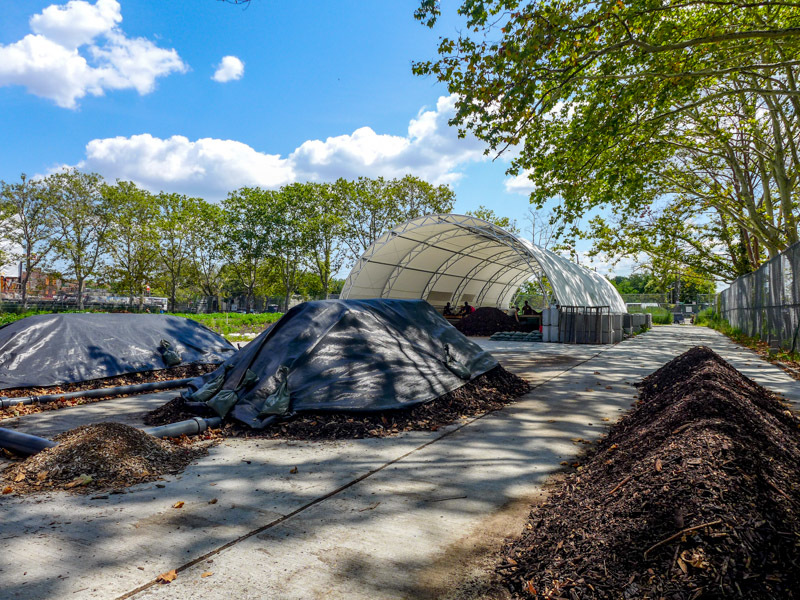 While half of our volunteer group starting watering the fields, we were put to work in the city’s only compost station run entirely on renewable energy (solar panels to power an aeration system and human power to do the work). At one edge of the farm are huge piles of compost that started as food scraps brought in from across the city. Amazingly, despite the food inside, the mounds don’t attract rats because temperatures reach as high as 130 degrees as the food breaks down. 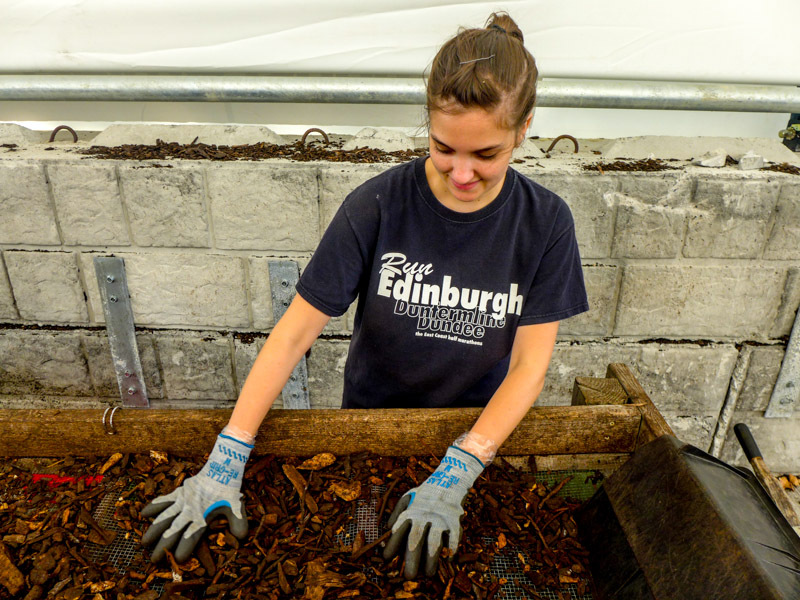 It was our job to scoop the still-hot compost onto sifting tables and pick out the rubbish before it could be used on the fields. After dumping a few hefty scoops on the table, we shook it out so that the smaller soil fell through a huge sieve. Then we removed vegetable stickers and pieces of plastic and glass and chucked them in to one bucket, and found wiggling worms (my favorite part!) and put them in another bucket. Whatever was left over on top was scooped into a wheelbarrow. 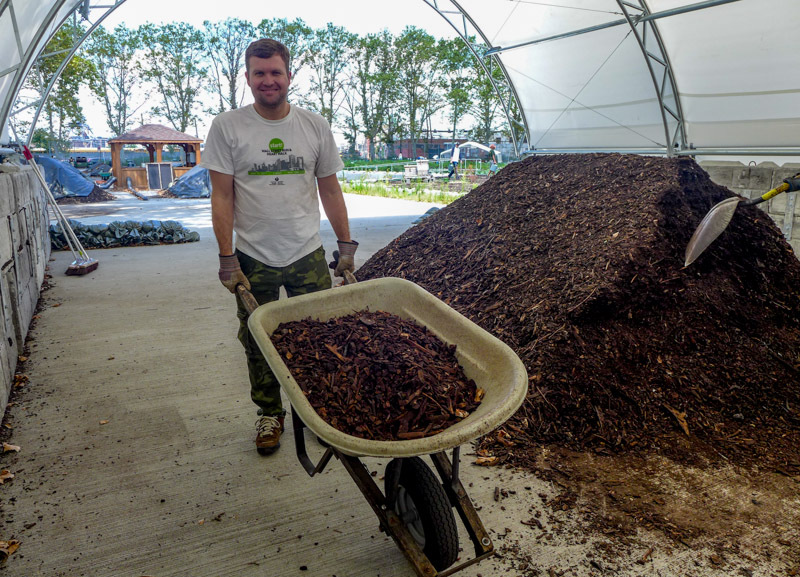 At the end of our work, these larger pieces in the wheelbarrow were saved to seal future piles of compost, and the soil that we sifted – the final compost – was wheeled on to the fields and dumped in rows to help the vegetables. 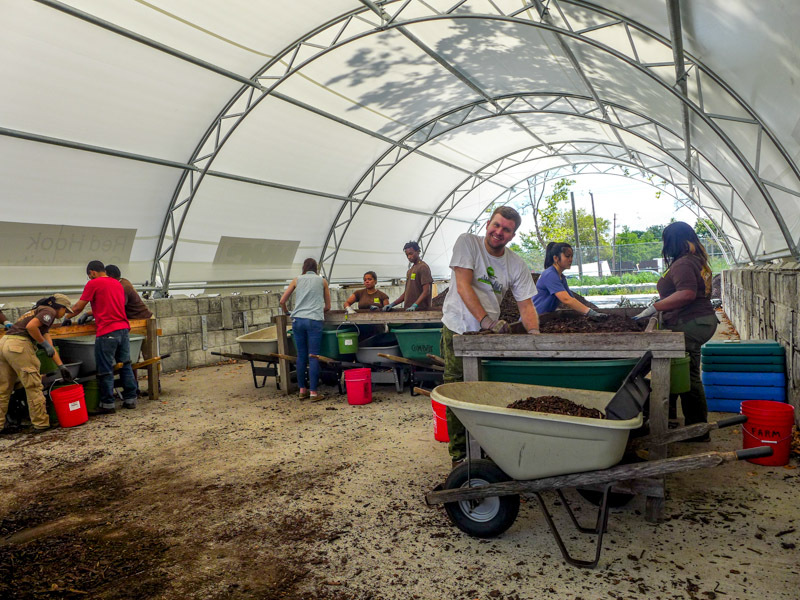 In total, 10 of us sifted and took out 53 cubic ft of fresh compost over two hours. Not bad, eh? It felt great to be outside, and – don’t tell Ryan – but I always prefer working on these community projects rather than our own garden. I love the idea that you’re working towards something much bigger – especially when it does so much for the kids and the community. It was just so therapeutic and educational. Yet another success from New York Cares. 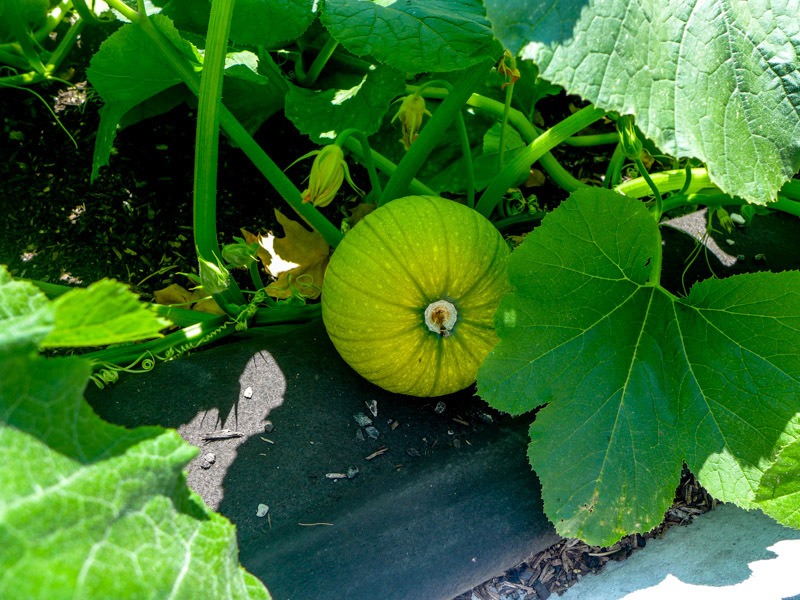 We left with a fresh determination to make our garden strong enough to feed us… although if I’m honest, I’ve definitely got my eye on that CSA instead. 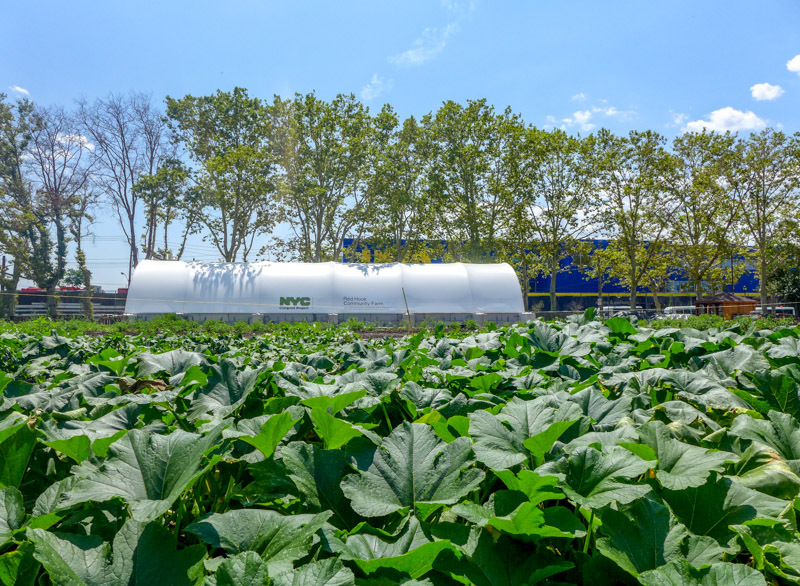 For more information about the farm, visit here and, to help, you can sign up at New York Cares. They’re there every weekend. What a fantastic idea. Did you get some compost to take home? No — but we got some pretty nifty tips to make sure ours works. And we’re thinking of joining their veg program or another one nearby. Some give you honey, eggs and flowers too.